Gluten Free, Dairy Free, Peanut Free, refined sugar free and suitable for vegans, this award-winning 21% protein bar has something for everyone. 21% Protein per 40g bar, high source of protein. 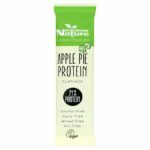 I’m the protein one, giving you a vegan, dairy free alternative to whey protein snacks! 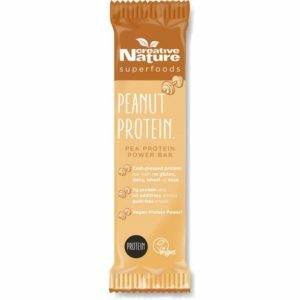 Cold-pressed protein bar with no gluten, dairy, wheat or soya, 7g protein and no additives, a truly guilt-free snack, Vegan protein power! Manufactured in the UK. Suitable for Vegans. 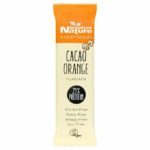 This Fairtrade organic milk chocolate alternative thin bar tastes just like milk chocolate. 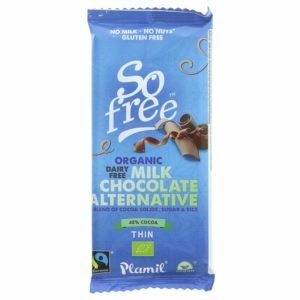 No milk, no nuts and gluten free, this dairy free milk chocolate is suitable for vegans. Certified organic and Fairtrade. Ethically made by Plamil using renewable energy. 87% cocoa extra dark organic chocolate thin bar. 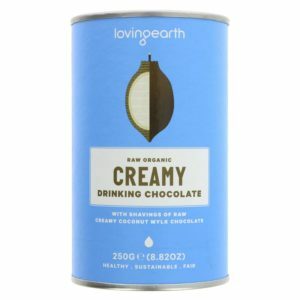 Brings an intense smooth chocolate taste that will delight. Dairy free and suitable for vegans. No milk, no nuts and gluten free. Ethically made by Plamil using renewable energy. So Free by Plamil. Espresso Dark Chocolate bar. 72% cocoa bar with a rich coffee flavour. 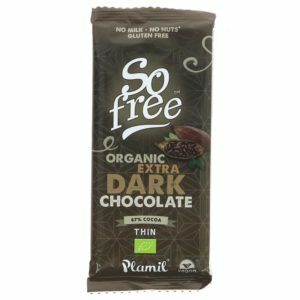 This no added sugar chocolate is dairy free and suitable for vegans. 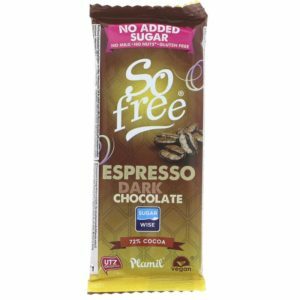 A Sugarwise chocolate low in free sugars. With Xylitol. 35g bar. 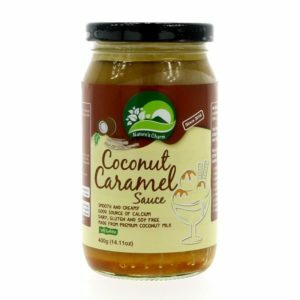 Made with premium coconut milk, this rich and indulgent sauce is ideal for desserts or the odd sweet treat. 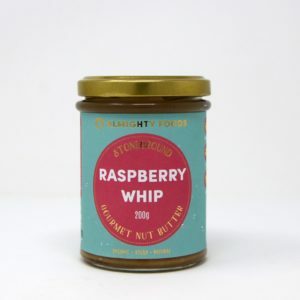 Use to ice a cake, in banoffee pie or just straight from the jar! This tasty sauce is also free from dairy, palm oil, soy and gluten too. 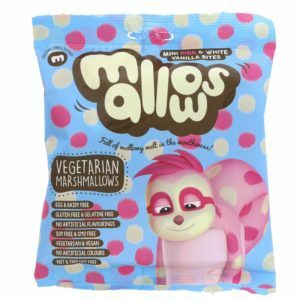 Freedom Mallows Vegetarian Mini Pink & White Marshmallows are melt in your mouth, fluffy and completely gelatine free, meaning that they are suitable for Vegetarians and Vegans. With a natural and delicate vanilla flavour, these marshmallows go down a treat! Perfect for topping cakes, cookies and mugs of hot chocolate ! Looking for the perfect, gluten, fat, nut and dairy free, vegan marshmallow? After 10 years of research and development, you now don’t need to wait as the perfect mallow is here. This product is Gluten-free and is Vegan.